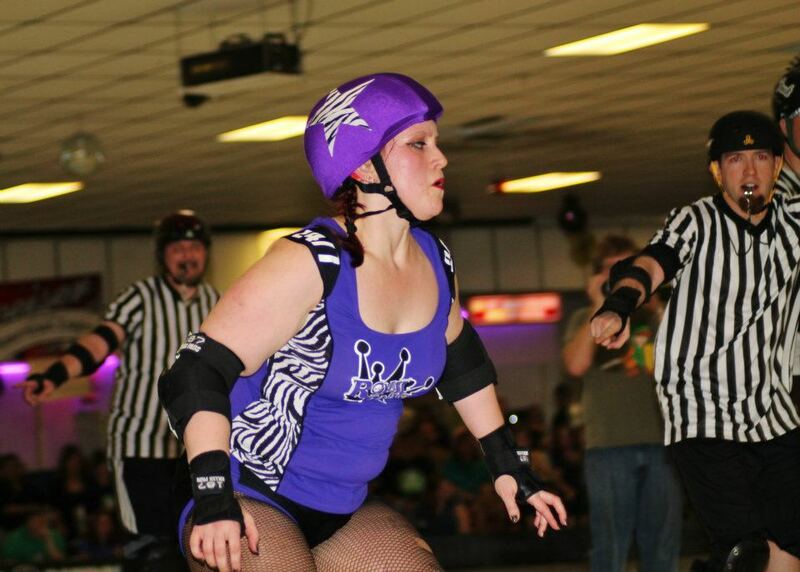 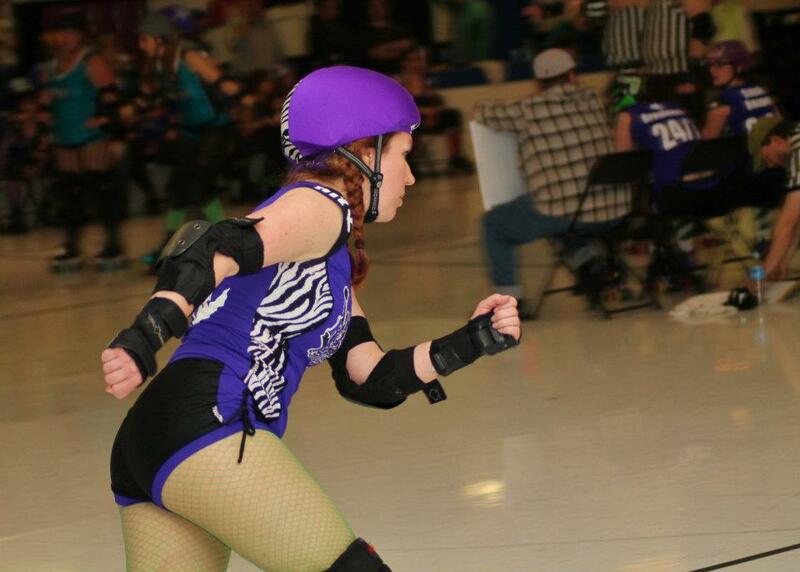 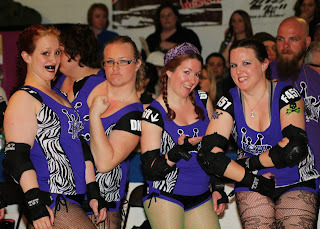 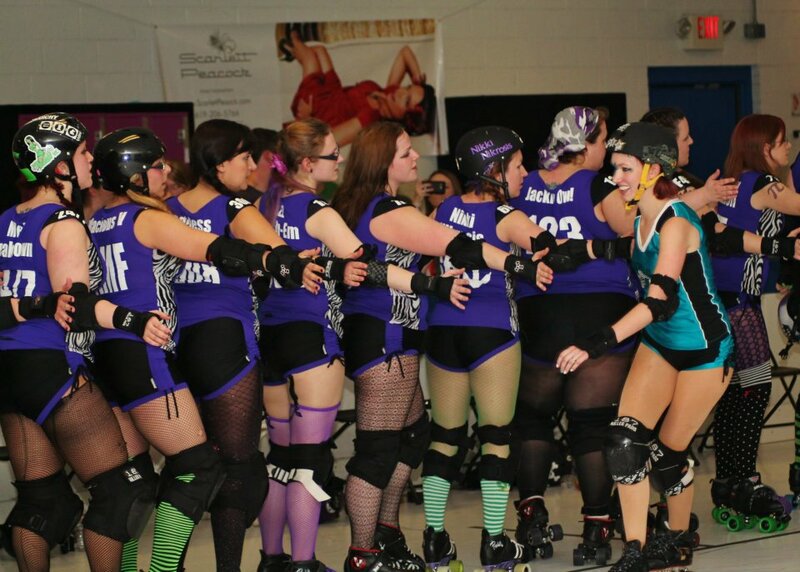 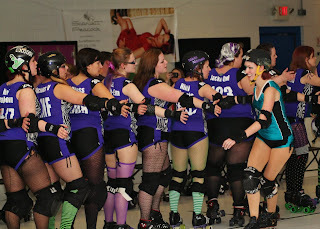 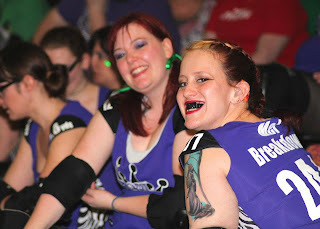 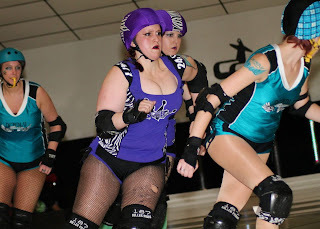 Thanks to KC Carr of KC Derby Digest for the photos! 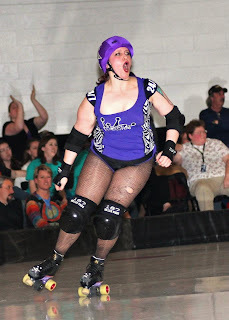 It's official: I look like a crazy person when I skate. 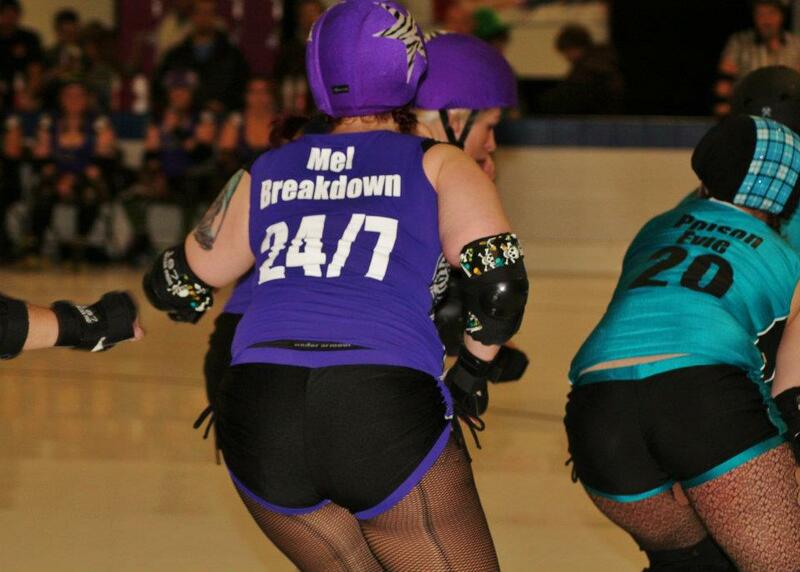 While it's a little weird that my underpants peek out here, Under Armour sports underwear are the best thing ever. 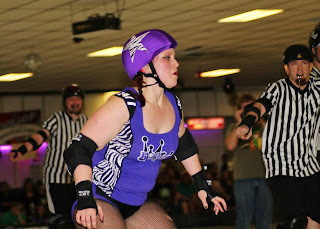 My first penalty being served in the background. I thought I'd be a little proud of my first penalty this season, but I was more frustrated for back-blocking.